What a pity that more tributes can’t be paid before an artist passes on. 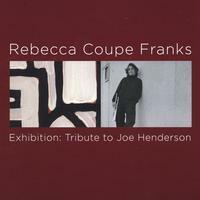 Wouldn’t trumpeter Rebecca Coupe Franks feel better if Joe Henderson were still around to hear the 10 originals she recorded as a panegyric to him on her new release, Exhibition: Tribute to Joe Henderson (RCF)? 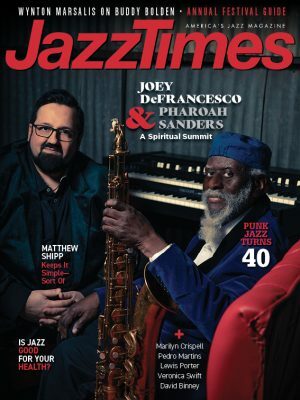 He was her mentor, and although a saxophonist cannot directly teach a trumpeter, Henderson, who died in 2001, instilled much of his enthusiasm for swinging lyrically and improvising “inside and outside.” That duality infuses the best track on this date, “Inspiration,” a tune that Franks says “allows soloists to follow whatever path they desire.” The trio behind her features bassist Essiet Essiet, drummer Sylvia Cuenca and pianist Adam Schulman, who borders on the sensational. Franks, who also studied very briefly with Art Farmer, has some of his warmth but a very thin tone. She doesn’t try to dazzle or overwhelm, but she swings effortlessly. At this point in her career, her strength lies in her writing.